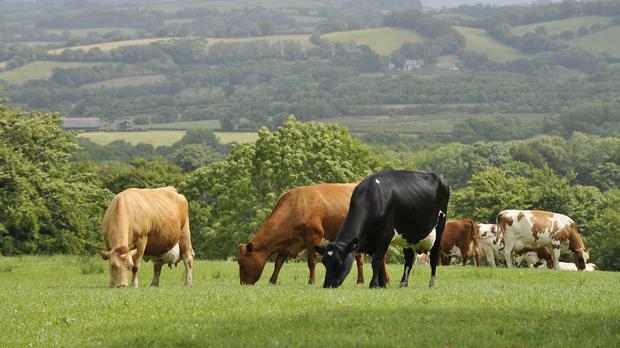 While dairy farmers weathered the storm of poor milk prices in 2016, the real-life Storm Ophelia has aimed another blow at the group this week. Having experienced milk-price highs and avoided the heavy downpours that affected tillage and livestock in the north-west in August, dairy farmers in the south thought that 2017 was their year. However, as the group struggle to milk their cows due to power outages, it's clear that no member of the Irish farming community is immune to the elements. In 2017, electricity is king for a dairy farmer. Without power, they cannot operate their milking machines and immediately their livelihood is under threat. If they are lucky enough to access a generator, it may not have the power to cool their milk, which puts the quality of their produce in jeopardy. One dairy farmer based in Carrick-on-Suir told me how he had been flat-out making sure his neighbours had access to a generator, while another in Cork said he hasn't slept in two days. Luckily, our farming community is able to group together in times like these and all are reporting that their co-ops have been helpful in accommodating them. However, last week's eerily warm temperatures and Monday's battering winds should act as a warning that we need a workable plan when it comes to climate change's effect on agriculture, as events like Ophelia are just the calm before the real storm of climate change is felt by farmers in the future.